I'm always on the look out for new food ideas for Ethan and like to have a good stock of snacks in to make sure there's always something for him to nibble on whether we are at home or out and about. Variety is even more important now as Ethan gets older, as he's starting to get a bit picky. Some days, his appetite is hit or miss (at home, at least) and any range of options I offer doesn't always fit the bill for my sudden fusspot. For the past few weeks, we've been trying out the Heavenly Tasty Organics Superfoods range and I'm pleased to say that we're really enjoying them, and I'm proud to be a Heavenly mum as a result. What I really like about this range is the variety, the different flavour combinations and the brand identity too. With no nasty ingredients and lots of snacking options to try, it's good to know that there's a good yet fun option to give Ethan. 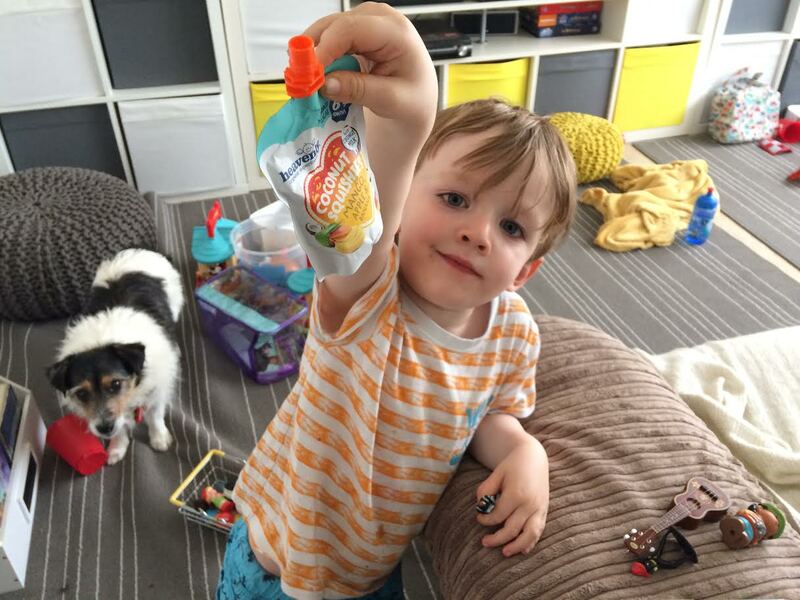 They're designed for children of weaning age upwards and despite Ethan being three and a bit, I do struggle to find healthy snack options for him beyond pure fruit and veg, other than those developed for the weaning stages. 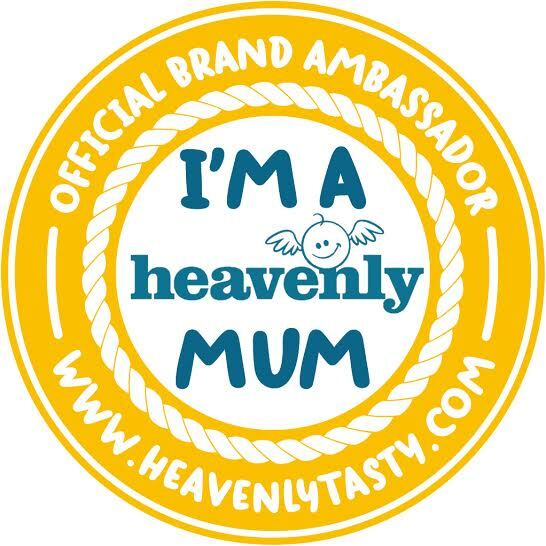 The whole Heavenly ethos is about healthy options that don't have a negative impact on growing children. 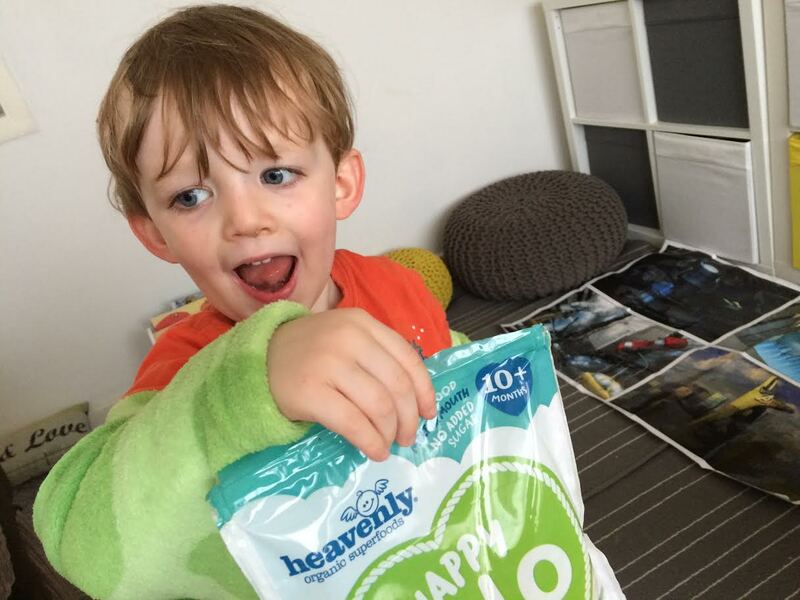 The Coconut Squishies are definite favourites in our house; and not just because Squishy has been one of our nicknames for Ethan for a long time. These are fruit pouches with coconut water so great for packed lunches or to take on days out, and they can be eaten without mess or fuss. 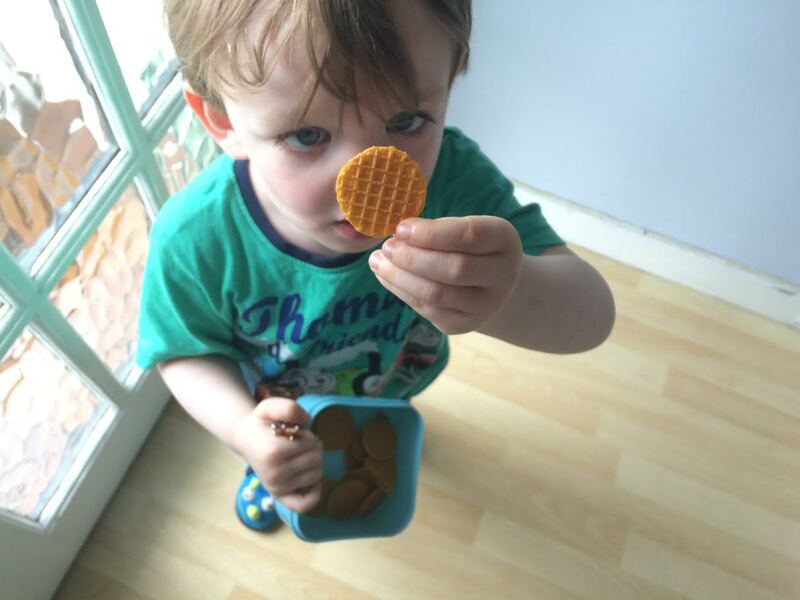 The Wafer Wisps can be used instead of crackers, the Crispy Veggie Waffles are unusual in their flavour but great snacks, as are the Italian Breadsticks which we've had both as snacks or as part of a picnic. 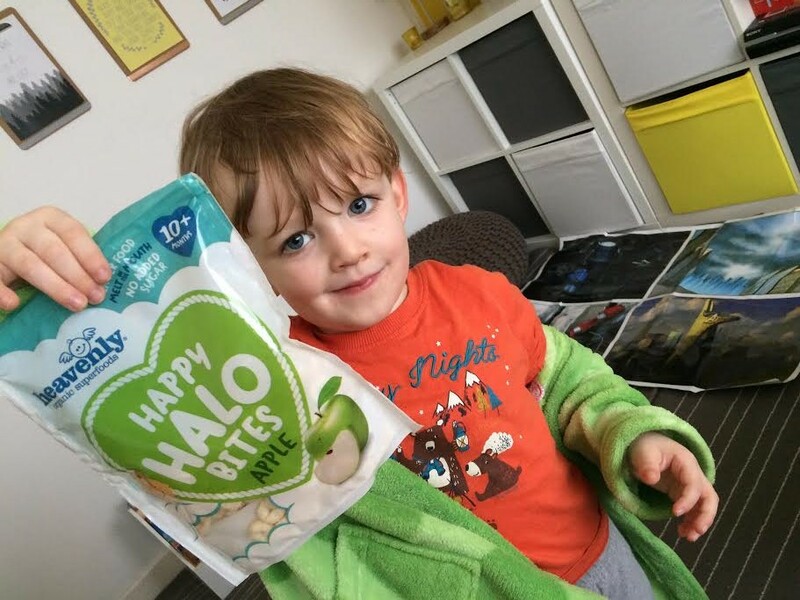 The Happy Halo Bites have been popular too, as Ethan likes Cheerios so these are a familiar looking alternative and easy to bite. You can buy Heavenly Tasty Organics Superfoods from a wide range of shops and they're worth a look if you have a picky eater (got to sneak those veggies in!) or you want to try something different with your toddler with peace of mind to boot.